The slouchy boyfriend jean is that elusive denim style we all want to try. When a pair of jeans looks so comfy, how could we not? The question is, how do we wear these jeans without looking like an actual boy? The answer is in the styling. 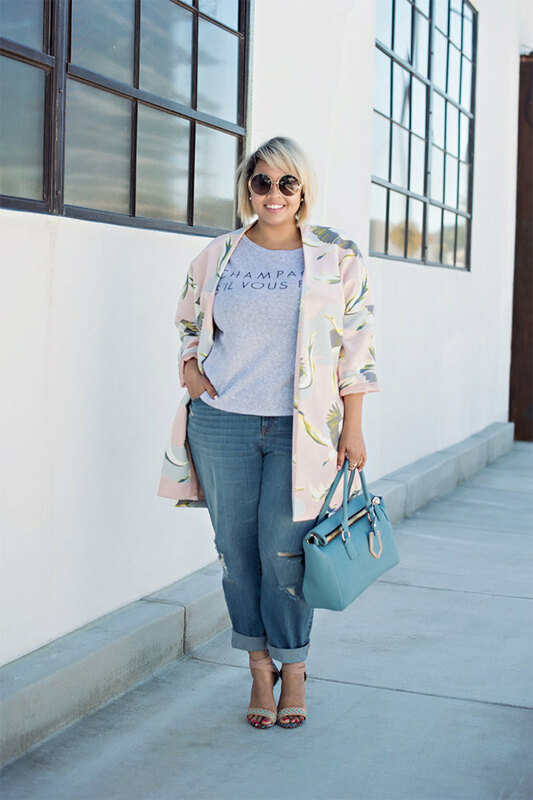 Some of our favorite bloggers have nailed the casual-chic look of the boyfriend jean, so we’ve broken down the key elements to help you rock your most comfy jeans, too. The trickiest part of picking the right boyfriend jean is making sure that it flatters you. The goal is actually to look slightly tapered toward your ankles and loose but not baggy throughout. If that sounds horribly unflattering, stick with us for a minute! It may feel against nature, but the key to picking boyfriend jeans for every body type is to find a pair that’s looser in the rear and thighs. This gives you space for that signature boyfriend looseness, and if you find a pair that tapers slightly at the bottom—we’re not going for a 1980s peg here—you’ll get just the right silhouette. 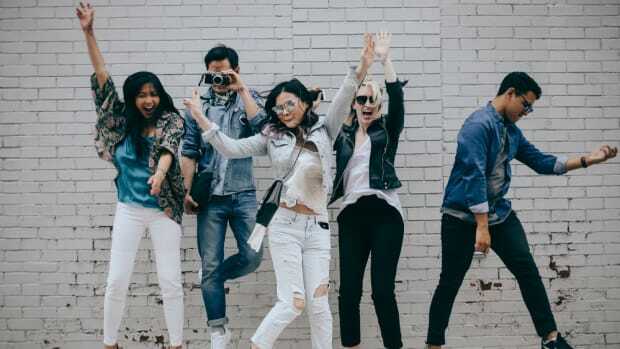 A common mistake many women make when shopping for boyfriend jeans is not committing to the slouchy look and instead sizing down until the slouchy jeans are tighter. If you are naturally a size 10, you do not want to get a size 6. Stick to your normal pant size—if your jeans just look too big, find a different style. Remember, you do not want to fill out the boyfriend jeans. You will find that if you do size down, your hips and thighs will fill out the legs, causing you to lose the slouchy silhouette, and your legs will appear to be the same width from the hips down. Just say no! You might have noticed that boyfriend jeans almost always have a distressed light wash with some rips and frays. If you’re used to darker denim, this can be a departure. But light and distressed plays into the casual-chic vibe that boyfriend jeans are known for. 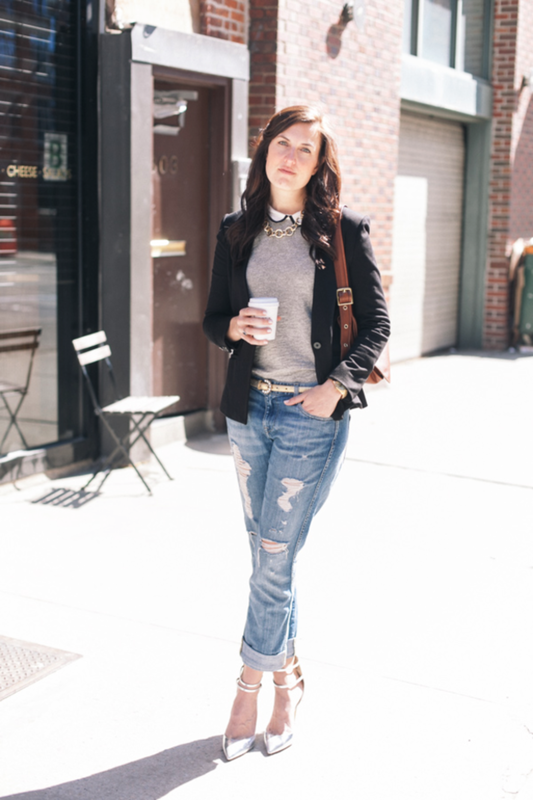 The goal when wearing boyfriend jeans is to create contrast with your styling. If you think it’s impossible to make light-wash denim look dressy, think again. 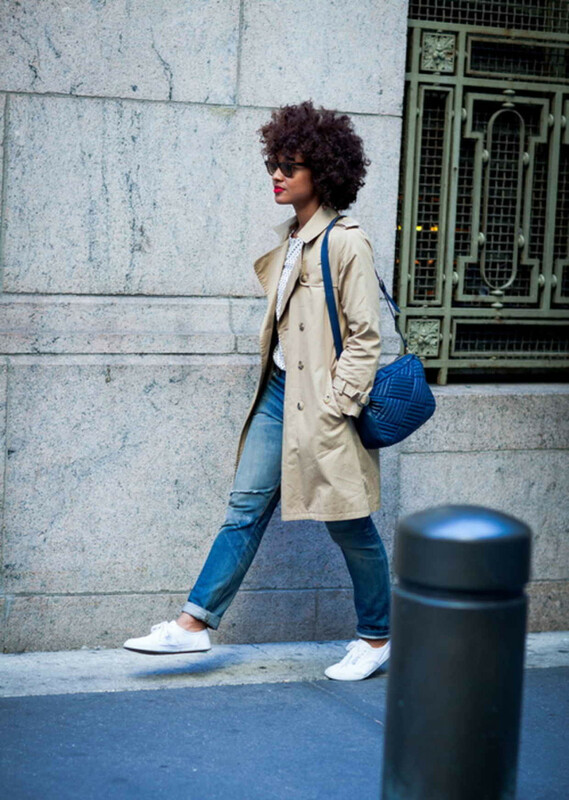 The following styling steps will help you dress up your boyfriend jeans. Most of the time boyfriend jeans come pre-cuffed, but if not, fold them a couple inches above your ankles. 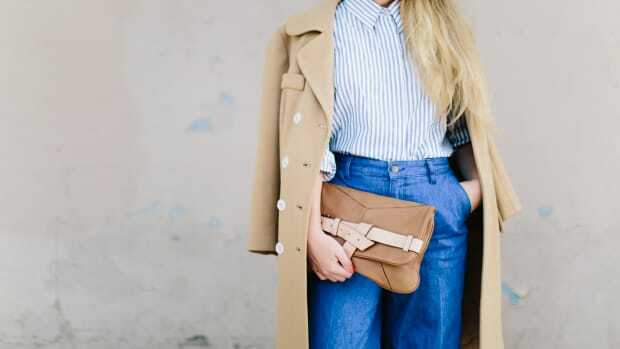 To emphasize the laid-back vibe of the boyfriend jean, make sure your cuff isn’t too perfect. Cuffing them also creates some curves on your legs by tapering in the loose fit and highlighting your ankles. 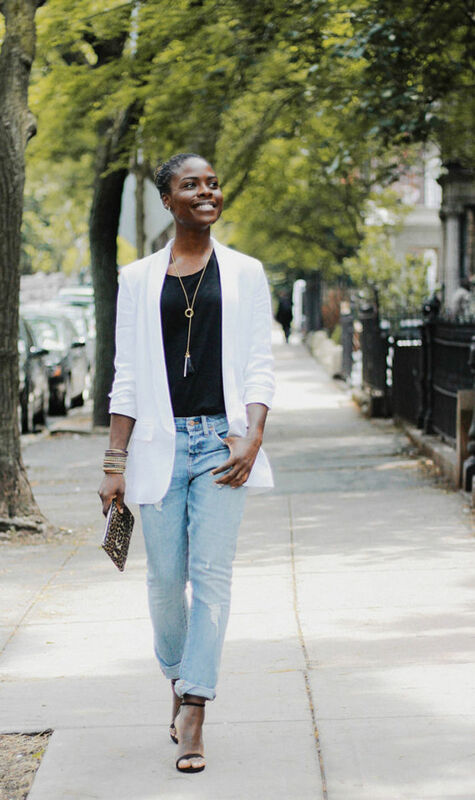 The best way to dress up your boyfriend jeans is by adding some contrast with a pair of sleek heels. Dressy heels add an element of surprise, making everyone wonder how you managed to make classy heels and slouchy jeans look so good together. If you want to really nail the sophisticated look, keep your heels to basic neutral colors. If you don’t like wearing heels, pick a pair of simple cloth sneakers or ballet flats. A plain sweater, T-shirt, or button-up emphasizes the masculine vibe of your boyfriend jeans while also serving as the perfect canvas for your feminine accessories. Remember, this outfit is fashion-forward by nature. You don’t have to go overboard with your top and accessories. Opt for laid-back wardrobe staples. A neutral-colored top will also turn the focus to your styling rather than any one specific piece of the outfit. Tailored jackets and blazers are a must for adding structure to your slouchy boyfriend jeans. Whether it’s a blazer, leather jacket, or trench coat, a structured silhouette will add to the play between professional and relaxed. Again, a neutral-colored jacket will amp up the polished look and keep a cohesive color scheme throughout your outfit. Leather, ladylike handbags, jewelry—they all add a feminine contrast to boyfriend jeans. Don’t be afraid to go bold with prints and colors for the accessories. They will add an expressive flair to your neutral color palette. 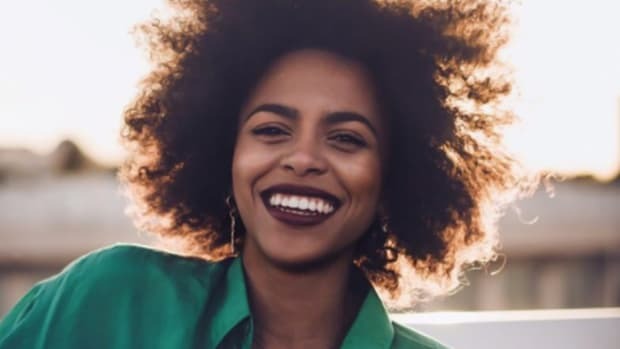 Bold jeweled statement necklaces or delicate long chain necklaces are both great options for adding the final feminine touches to your slouchy boyfriend jean outfit. 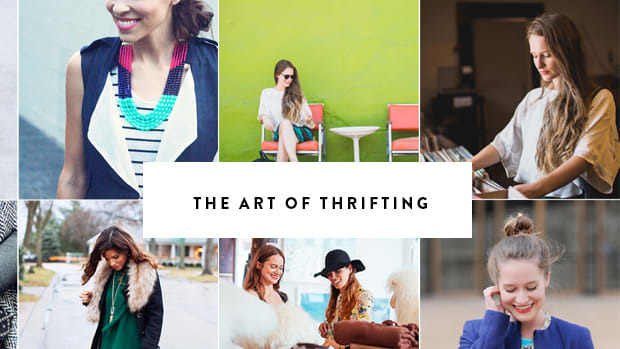 A gold watch, glitzy bangles, or a slim belt bring the look home.